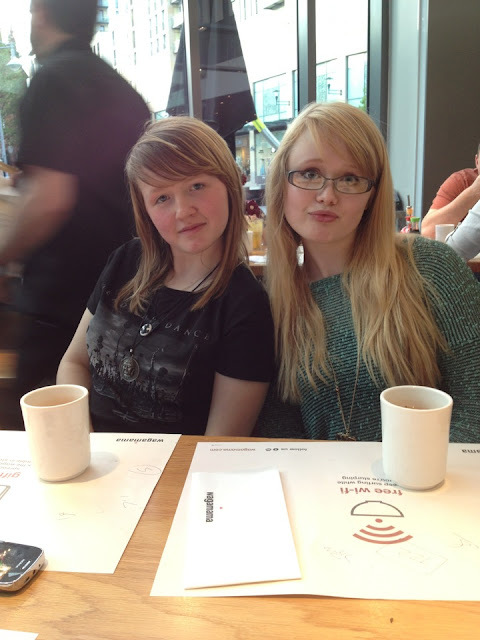 So yesterday I went to Wagamama's with three of my lovely friends, unfortunately I only have a picture or me and Katie. Anyway it was lovely apart from the waiter who just seemed in an awful mood and didn't like us so yeah... we didn't tip him. Oh another cool thing, I am not wearing socks here, the grey and black you see are part of one set of tights. 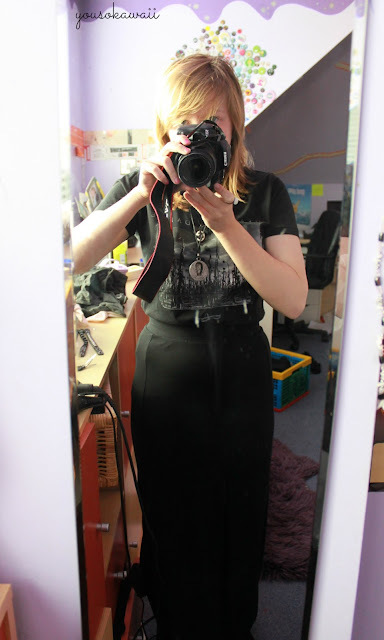 I think I got them from ASDA for like £3 actually. 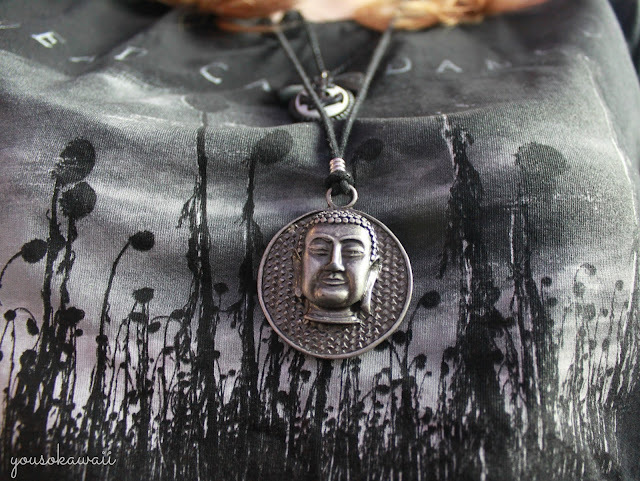 Jewelry wise I was wearing my lovely Buddha necklace which I got from a Market stall in Barcelona. 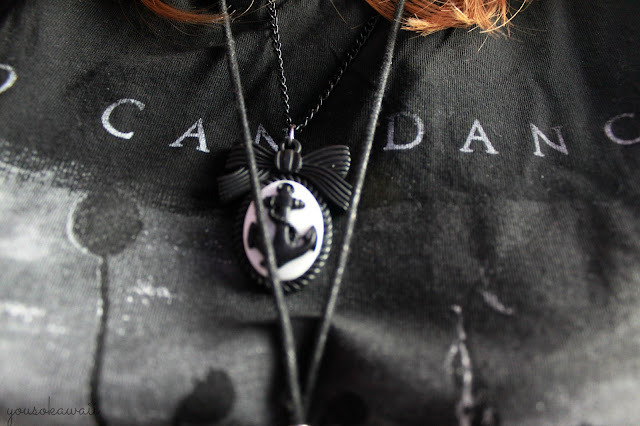 And my handmade anchor necklace, which you've seen before. I was also wearing one of my flower rings (and managed to sell like 5 to my friends :L) but you've seen them enough before. Here's a very flattering (not) picture of me and Katie in Wagamama's, I think we stayed in there for about 2 and a half hours and Katie wanted to make it her home, but we didn't let her. Bar being stressed out A LOT by teachers in school yesterday, it was a good day.